Last Saturday, fellow-author Hazel West hosted me on her blog, “Hazel West’s Character Purgatory.” So now it’s my chance to welcome her to discuss a subject that I might never tackle: the art of writing historical fantasy. Hazel and I met on Goodreads, where she moderates the History Buffs United group. I am delighted to welcome her today. And, Hazel, good luck with your new novel, Wolfsblood! I thought this would be a good topic to write about, seeing as I just published my first official historical fantasy/paranormal novel, Wolfsblood. It’s always been a genre I have enjoyed to read: whether it was a fantasy universe like Middle Earth that is based off historical peoples, or historical fiction with fantasy or paranormal elements added, it’s always been fascinating to me to see where the authors go with it. The more I write and think about stories that involve history and fantasy or myth, the more I realize how easy it is to mix the two genres. It’s especially easy when writing Celtic history. A lot of the ancient history of Ireland and Scotland and pretty much all of Great Britain in general is very steeped in legend. So much so that sometimes it’s hard to figure out where the folk stories end and the actual history begins. Think King Arthur and Brian Boru and even later heroes such as Owain Glyndwr to a certain extent. This might be annoying when trying to write a strict historical novel, but it’s extremely good fun when you’re writing a historical fantasy. While Wolfsblood isn’t really based off any particular event, or myth, or person, it is written in the style of the old folklore, dealing with a whole Roman garrison that is made up of werewolves. Add to that an ancient Celtic flavor of mystery and magic, and druids and it’s pretty much a traditional folk tale. I’ve always been a fan of paranormal and supernatural novels, though I’ll admit that what oftentimes passes for that genre nowadays isn’t exactly my choice of reading material. I like the stuff that comes from old folktales and myth, and that’s the feel I attempted to give to Wolfsblood. Being set in Roman occupied Britain, on the border of Scotland, it’s the perfect time period and setting for adding a supernatural flair to the historical aspect. Half the battle with writing good historical fantasy is not only finding a reason to do so, but making the kind of story line work with the proper time period. I don’t think this would have worked the same had it been set in the Napoleonic time period, and werewolves definitely fit better with the character of the Celtic people than vampires. Another tip about writing historical fantasy is to do your research. There have always been urban legends and stories of the occult, and you will likely find one that will suit your writerly mind. I did a lot of research into werewolf lore before I wrote this book, going far back into the ancient Greek and Viking cultures, as well as studying druids and not only what they really did, which was creepy enough, but what they were thought to do as well. The best part about writing historical fantasy/paranormal, is that you can take liberties with the little extra bits that are passed down in local legend and run wild with them without anyone getting onto you. Or if there’s no material, make it up! As long as it seems to fit with the setting and time period, you’ll be able to craft a very interesting story. There were no particular events that inspired Wolfsblood, but to me, the entire Celtic culture has a very supernatural feel to it anyway, and it’s almost second nature to put little bits of actual supernatural events into a story set in ancient Britain or Ireland. In any case it was good fun, and as my first attempt at paranormal, I was rather happy with the result! I will definitely be thinking of writing other books in the genre. 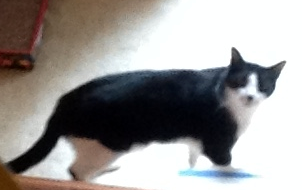 Hazel is an indie author, avid reader, and coffee connoisseur. 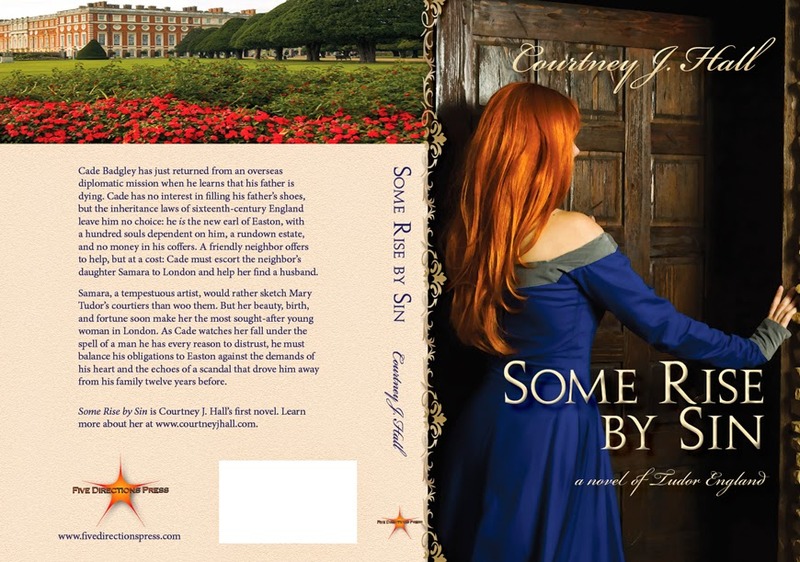 She loves best writing British historical fiction and things with an air of the ancient supernatural, finding new ways to retell the old stories—sometimes mixing everything together. When she’s not writing or reading, she can usually be found sketching, listening to music (classic folk, modern folk, and other modern artists with a different taste to the norm) and feeding her obsession with BBC TV shows. Alexandrus has been hoping for his promotion to centurion for a while, not only for his own personal gain, but to make his father, a wounded veteran, proud. However, promotion does not come in the way he expects. He finds himself posted to a frontier fort on the Northern Border, commanding a cohort of Celtic auxiliaries. Chosen for this particular job because his grandmother was British and he speaks the language, he sets off for his new posting, leaving behind a disappointed father and the relatively comfortable life he has known in the south. When he reaches the fort, he finds it the most horribly run place he has ever seen. Men are sleeping on duty, no one seems to be motivated to do anything, and the decurion is “currently indisposed.” He soon makes it his duty to join with the other centurions and whip the men into shape, but it proves difficult, for the fort is full of troublemakers, both well-meaning and otherwise. But the lack of discipline is not the only thing strange about the new posting. Where are the horses if it’s supposed to be a cavalry cohort? Why do most of the men seem to have strange golden eyes, and why is it that most of them have bite scars? It can’t be that they were all so unlucky while hunting for wolf skins, could it? Alex disregards an old story he hears about a Druid curse, but when it comes to the night of his own initiation, he begins to wonder whether there is truth to it after all. One of the best parts of my gig as host of New Books in Historical Fiction is getting to read books that might not otherwise cross my path. 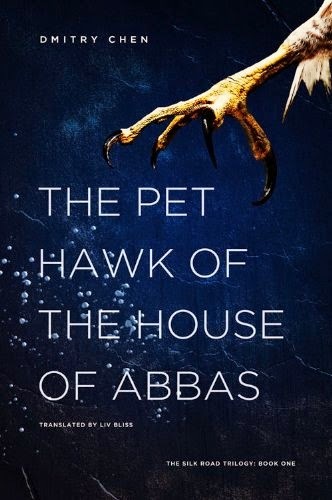 That description doesn’t completely apply to The Pet Hawk of the House of Abbas, for the simple reason that I have worked with the translator on nonfiction projects for the last dozen years, and I heard about the book first from her. In fact, I read it a year ago and had to put in some serious swot time to recapture the big points so that I could put together a set of questions for the interview. The need to study is no reflection on Pet Hawk, which I enjoyed a lot—only on my aging memory and the number of books I have read, for NBHF and on my own, since. Not to mention the effort I put into my own novels, which tends to squeeze everything else out of my brain. But although I probably would have read Pet Hawk even without the impetus generated by the New Books Network—I am fascinated by Central Asia, which I am discovering only belatedly in my career as a Russian historian, mostly thanks to my research for The Golden Lynx and its sequels—my near-total ignorance about the conflict through which the Abbasid caliphate replaced its Umayyad predecessor, never mind the role played in that overthrow by the western quarter of the ancient Silk Road, meant that one read-through was insufficient for me to capture the ins and outs of the complicated family and state politics that form the background to Pet Hawk. Without the need to follow through on my promise to interview Liv Bliss, who produced the masterful translation of this novel, most likely I would not have gone back to it and so would have forever missed the subtlety that characterizes Dmitry Chen’s work. Because Liv and I are, in a sense, both readers—although a translator plays an important creative role (more on that in a couple of weeks)—this interview has more the tone of a book club than the usual exchange with authors. So stop by and listen to our free conversation between friends. And by the way, the book has a gorgeous cover. As you may have guessed from last week's post, that means a lot to me. 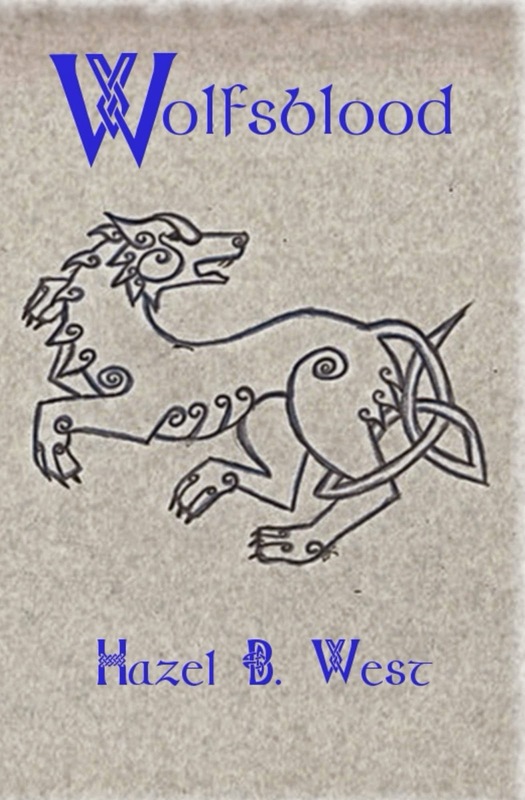 Next week, fellow-author Hazel West is scheduled to guest-blog about historical fantasy. Meanwhile, check out the spotlight on The Winged Horse at Trisha Haddan’s Happy Book Reviewer site. And if you happen to live in Delaware County, PA, you can now borrow the e-book versions of my novels through the county library system. Many thanks to the Delco Library System for setting that up! The rest of this post comes from the NBHF site. Note that, despite what I say in the interview, the e-book version of Pet Hawk does include the introductory map and cast of characters. I reread the book in print and had forgotten that I saw them in the Kindle version, too. From the Saxons and Danes warring in the British Isles, this month’s interview skews dramatically eastward and dives back two centuries in time, although the circumstances of war and unrest will seem remarkably familiar. Nanidat, head of the Maniakh trading house, has just returned from two years in Chang’an, the capital of Tang Dynasty China—three months’ away along the Silk Road from his home in Samarkand. It is 749 CE. The House of Maniakh—like Samarkand and the surrounding lands—is slowly recovering from a recent invasion by the Arabs, who have striven to impose their rule and their religion on the Zoroastrian and Buddhist Sogdians. Nanidat looks forward to a relaxing visit filled with wine, women, and poetry before he again mounts his camel to return to his beloved Chang’an. Instead, he is less than halfway through the opening reception before a pair of strangers try to murder him. The next morning, his knife wound still raw, Nanidat finds himself bundled out of his house, on the road west to Bukhara, in search of a young woman whom he has loved as a sister—and perhaps a little more. A reluctant traveler, Nanidat soon finds himself enmeshed in a web of conspiracy and intrigue that threatens his beliefs about his family and its place in the larger world. Dmitry Chen’s The Pet Hawk of the House of Abbas, translated by Liv Bliss (Edward and Dee, 2013), explores the events surrounding the decline of the Umayyad Caliphate, the rise to power of its successor state under the House of Abbas, the founding of Baghdad, and the conflict that underlies the current division between Sunni and Shi’a Muslims, now playing out in Iraq. Follow Nanidat as he struggles, never quite certain where the next betrayal will come from, to puzzle out a path to safety before his would-be murderers succeed in their mission. It’s an odd thing to discover in midlife, but one thing my association with Five Directions Press has taught me is that I love to design book covers (books, too). Finding the right images and fonts, setting up the right combination of colors, catching the essence of a book in a few compelling images, defining elements that will tie a series together, even finding the exact placement on a page—all these tasks are deeply satisfying. Book covers are important in selling books, even in a digital world. I know that. But for me, creating them is pure fun. It doesn’t matter that I can’t draw my way out of a paper bag. I can see when things should be aligned and when they shouldn’t. I appreciate art; I just can’t reproduce what my eyes see with a pencil, pen, or stylus. For that, I need Photoshop and InDesign. The effort involved puts nitpicking to shame: 3/72 of an inch left or right, up or down, can make all the difference. Yet I find it relaxing. Fade here, add an effect there, and the ordinary becomes beautiful. 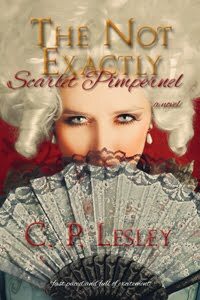 I’ve heard people say that historical fiction demands paintings, not photographs, on its covers. I have nothing against paintings, of course, but I don’t really “get” the value of restricting a designer in this way. For starters, a photograph can be filtered or manipulated to resemble a painting with, say, Photoshop or AutoPaint. And a new writer with few funds may manage quite well with a $10 purchase from one of the stock photo services—or even Creative Commons or public domain art—so long as the images chosen are historically appropriate and well suited to the story. New designers often forget that the type is just as important as the image behind it: titles and authors’ names need to stand out even at thumbnail size, which can’t happen if the cover image overwhelms the words. So this was my week for covers—not entirely, since the reason why I spent my late afternoons fooling around with images and point sizes was because I had already devoted so many hours to checking for commas that should have been semicolons and double spaces on a page that my brain could no longer process grammar and spelling. While helping my pal Courtney J. Hall finalize her covers for the soon-to-be released Some Rise by Sin and its as-yet-in-the planning stages sequel By Virtue Fall, I discovered an amazing picture of the Kola Peninsula on ThinkStock—perfect for the back cover of The Swan Princess, which had been giving me fits for its pedestrian inability to match the new covers for The Golden Lynx and The Winged Horse. 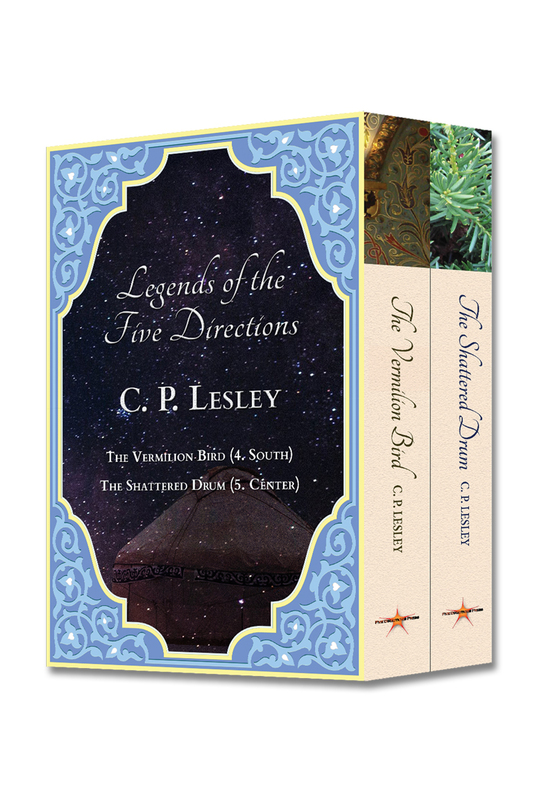 And that gave me ideas for The Vermilion Bird and The Shattered Drum, which complete the Legends of the Five Directions series. I won’t show you those. It will be eighteen months, at least, before I start work on Vermilion Bird—probably three years for Shattered Drum—and who knows what good ideas I may have had about the covers by then? 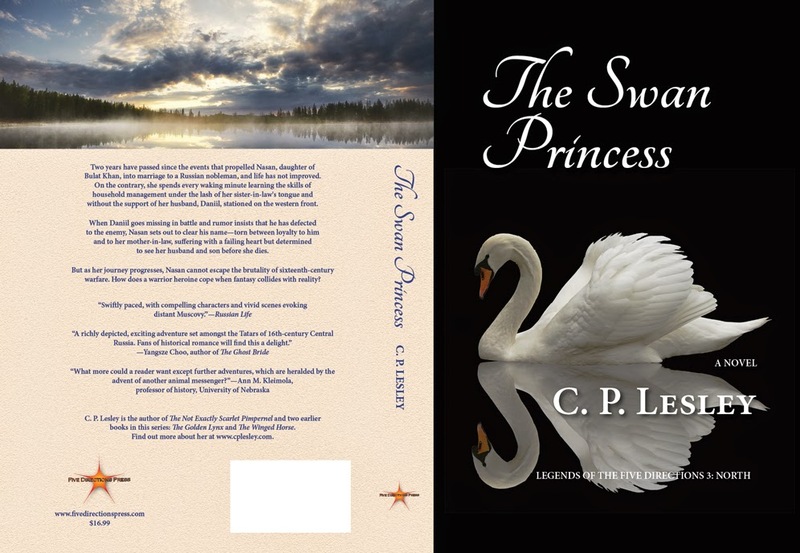 But I will show you Some Rise by Sin, which should be released by the fall, and the full cover for The Swan Princess. Because even if you don’t need the inspiration, I do! Please note that all these images come from Shutterstock, iStock, or ThinkStock and thus should not be reproduced unless you have purchased the rights to do so. The Five Directions Press logo was designed and is owned by Colleen Kelley. 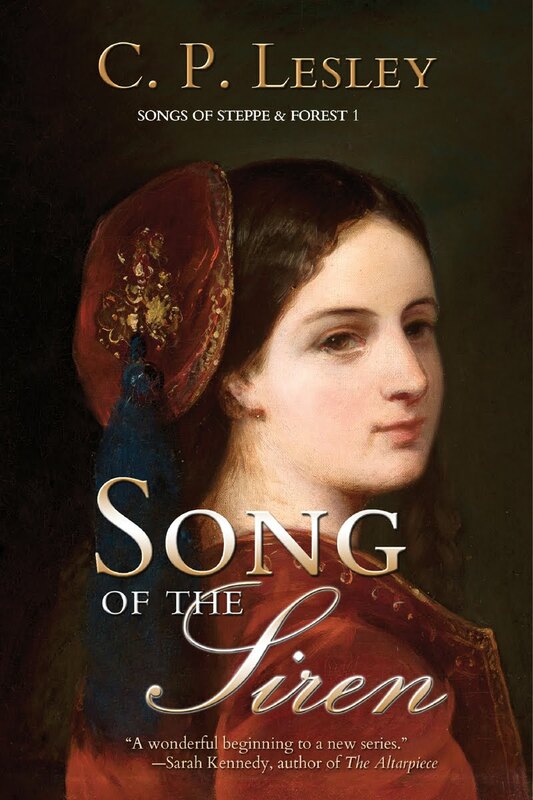 Two weeks ago, I posted about my New Books in Historical Fiction interview with Bernard Cornwell. He’s a great conversationalist, and I was happy with how the interview turned out—especially after Marshall Poe, editor in chief of the New Books Network, managed to scrub all the Skype weirdness out of the files. As usual during these interviews, I kept out of the way as much as possible and let Bernard talk. But there was one moment when he said something that surprised me so much that I forgot I was wearing my host hat and jumped into the conversation. Specifically, he said that the Danes invaded England in the ninth century looking for land. Now I have no problem with this statement as it stands. It makes perfect sense. England was rich agricultural territory, and if you lived in Scandinavia and needed to feed your family—say, because the population was growing or the weather changing—England would look like a very appealing prospect. That England at the time didn’t exist as a single entity but as a set of warring kingdoms that skillful enemies could pit against one another just enhanced that appeal. The part that surprised me was (a) my own prejudice, by which I mean that I had always subconsciously thought of the Danish raiders as freebooters and warriors, not farmers; and (b) the difference between these Danish invaders and their counterparts to the east, known to Russians and Russian historians as Varangians. The Varangians invaded, too, and eventually established a state called Rus in Novgorod and Kiev, the nucleus of what would one day become the modern nations of Russia and Ukraine. Their subjects were agricultural Slavs—with whom, in time-honored fashion, the conquerors interbred and whose culture they adopted. But the Varangians themselves were not motivated primarily by a desire for land but by commerce. Corsairs had closed the Mediterranean, separating Europe from Byzantium and the riches of the east: spices, silk, perfumes, and luxury goods of all kinds—creating a lucrative market for anyone who could find an access point. 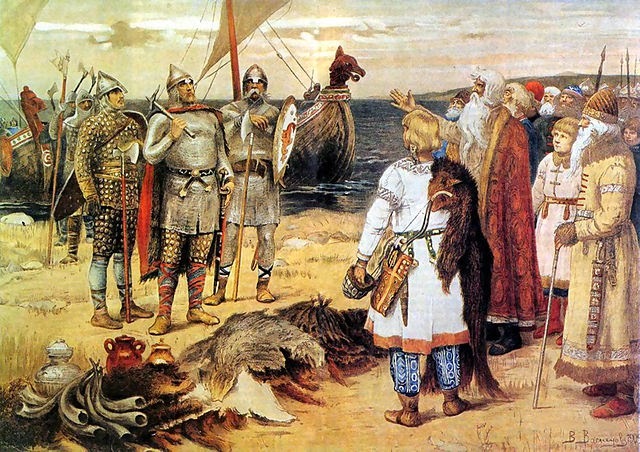 The Varangians discovered a route through the eastern Slavic lands, collecting fur, honey, and slaves along the way and trading these goods in Constantinople for spices and silk. When the Italians reopened the Mediterranean and the more arduous Dnieper route died, the Rus settled in and dominated their agricultural empire, defending their lands from the nomads to their east until the Mongols arrived. The Mongols, too, were not looking for land. They wanted to control the Silk Road and all the cities along it. Their success established what historians call the Pax Mongolica, guaranteeing the safety of merchants along the thousands of miles that separated Constantinople from Dadu (Beijing). Because of the Pax Mongolica, Marco Polo reached China during the reign of Kublai Khan. The Mongols subjugated distant Russia and ruled it for the better part of two centuries, but they took no interest in its agriculture. Instead, they carted off its artisans to build pretty palaces in Sarai and Karakorum, taxed its people, and insisted that its princes present themselves for approval before they had the nerve to rule. Any failure to fulfill these requirements provoked devastating punitive raids, but so long as the money and furs flowed and no prince declared himself independent, the Mongols left the Russians more or less alone. They had richer lands to milk. In time, the Russians learned to play the game, paying just enough deference to the rules to keep the Mongols, whom they called Tatars, out of their hair. In so doing, they strengthened and guaranteed their freedom—not as individuals, because the rich oppressed the poor, men oppressed women, and so on—but as a nation. Similarly, after fifty years or so of waffling, the English united under Alfred the Great and his descendants, conquered the would-be invaders, and settled in to rule their mixed Anglo-Saxon, Celtic, and Danish invaders. Until the Normans arrived, looking for land. Meanwhile, the Tatars lost their ability to field a single, large, coordinated army and, with it, their control over their subject peoples. Some settled in cities, more or less permanently, managing their agricultural populations as the Varangians had before them. Others remained on the steppe, loyal to their pastoralist past, breeding vast herds of horses that supplied the Russian army. This period of division, as the Juchid dynasty (also known as the Golden Horde) disintegrated and the balance of power shifted, forms the backdrop to my Legends of the Five Directions series, especially The Winged Horse, which focuses on the Tatar side of things—or perhaps Tatar sides, since the fissiparous hordes saw their situation in many different ways. All of which brings me, by a circuitous route, to Independence Day. Last year at this time, I wrote a post that explored differing concepts of independence. But freedom depends at least in part on political and economic power. Those who call the shots or control the available resources consider themselves free; those who don’t long for more independence and greener pastures. The downtrodden give rise to the raiders, the brigands, the pirates, looking for commerce—or land. 2. 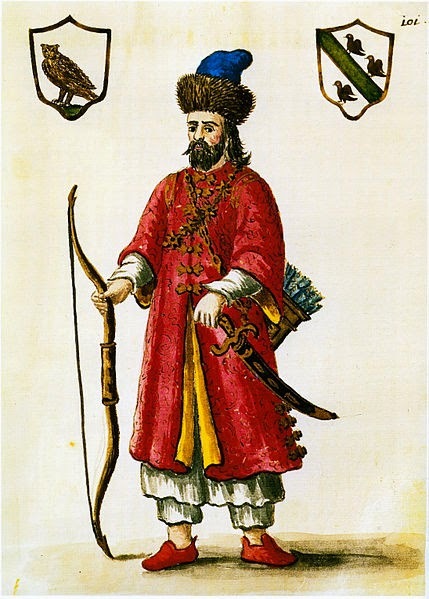 Grevembrock, Marco Polo in Tatar Dress (scanned from an 18th-century book), via Wikimedia Commons ; this image is in the public domain because its copyright has expired. 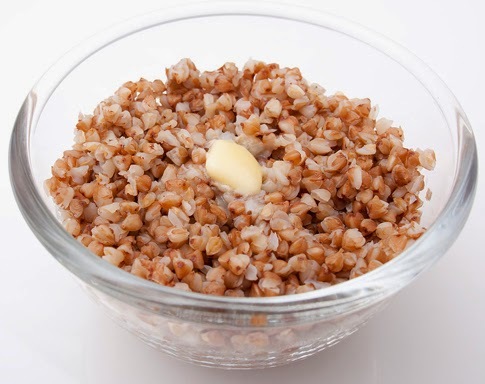 The Recipes Project, which I described earlier, has begun its series on Russian recipes. 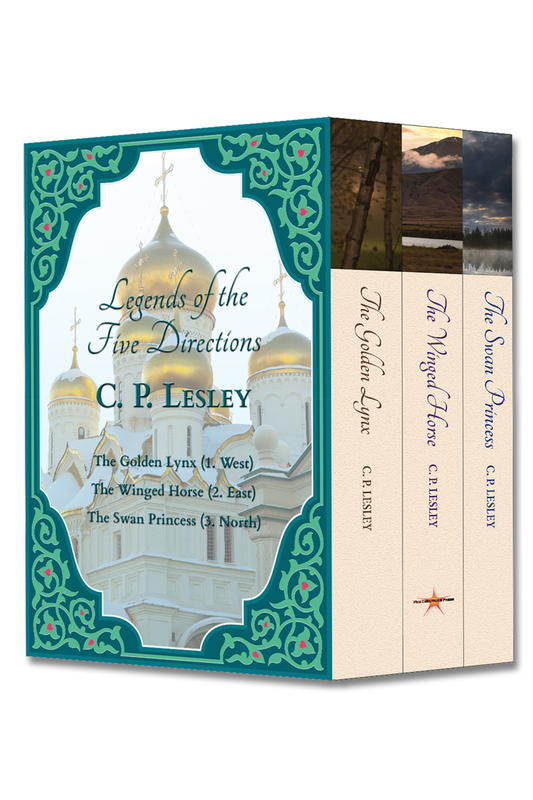 Clare Griffin’s opening post offers a great introduction to the Russian half of the world portrayed in my novels, and my look at feeding sixteenth-century servants went live yesterday. The series will continue over the next four Tuesdays. You do want to know how our medieval ancestors cured hangovers, don’t you? 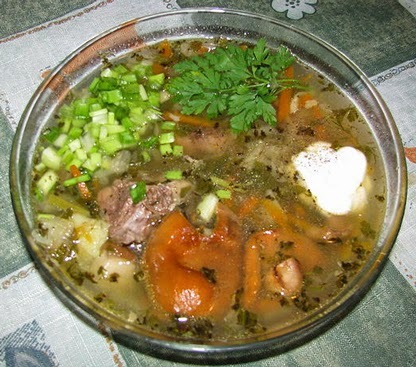 Pictures of Kasha and Cabbage Soup from Wikimedia Commons.